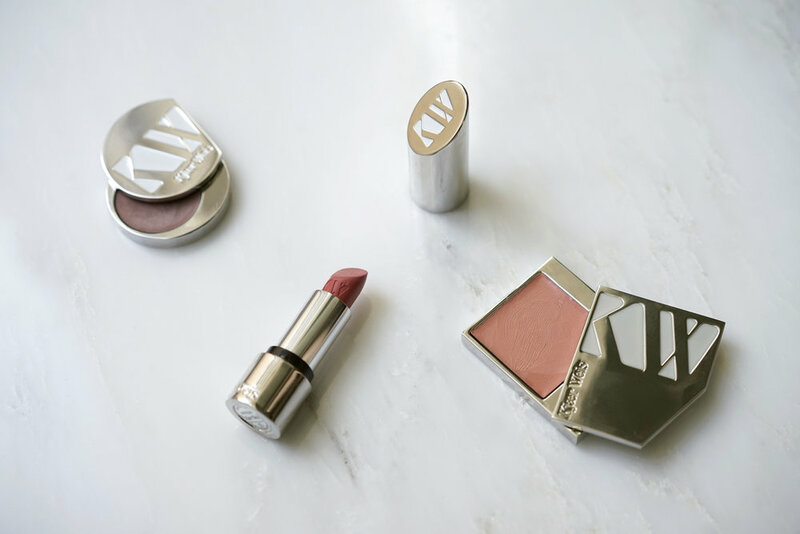 My top three picks from one of my favorite eco-conscious brands Kjaer Weis, created from the highest quality materials, each ingredient works with your skin, not against it. Everything is free of parabens, silicones, petrochemical emulsifiers and synthetic fragrances. See more of my favorites below. PREP: After cleansing and moisturizing my face, I use my Juice Beauty Illuminating Primer and moisturize lips with Evan Healy Whipped Shea Butter. CONCEAL: Using my finger tips I blend my RMS Un Cover-up in number '11' under my eyes, and around my nose. EYES: Japonesque's Eyelash curler has been my all time favorite and I love the compact size. After curling my lashes I prime them with Lashfood's conditioning Primer and apply a few coats of Kjaer Weis Mascara. SET: Next, I lightly sweep Lilah B. Flawless Finish Foundation in 'B. Original' over the T-zone area and around the nose. BROWS: My favorite part of any makeup routine are my brows, a good brow is everything. I fill them in using Benefit Brow Pencil in the color ’03 Medium’ and groom them with Lashfood's Tinted Brow Gelfix in ‘Brunette’ this multitasking gel not only defines but the nano-peptides in the formula help brow follicles for fuller and healthier brows. GLOW: Last step, I apply RMS Living Luminizer Highlighter on my cheekbones, above the lip, down the nose and inner corners of the eye. I love the dewy finish of this highlighter.